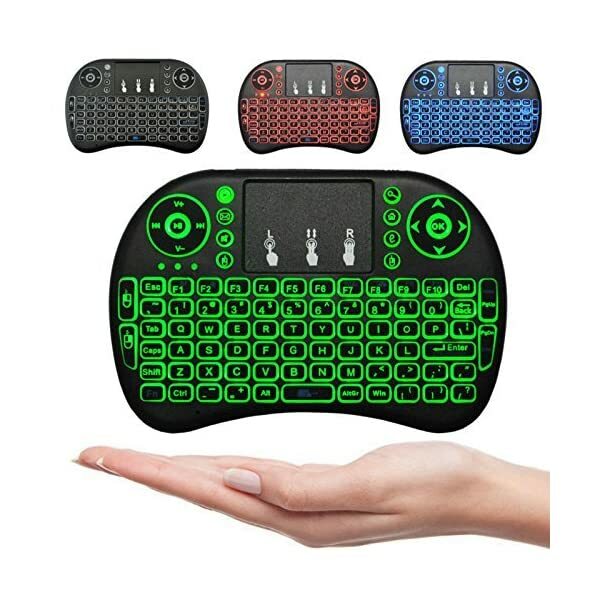 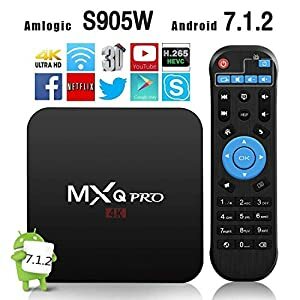 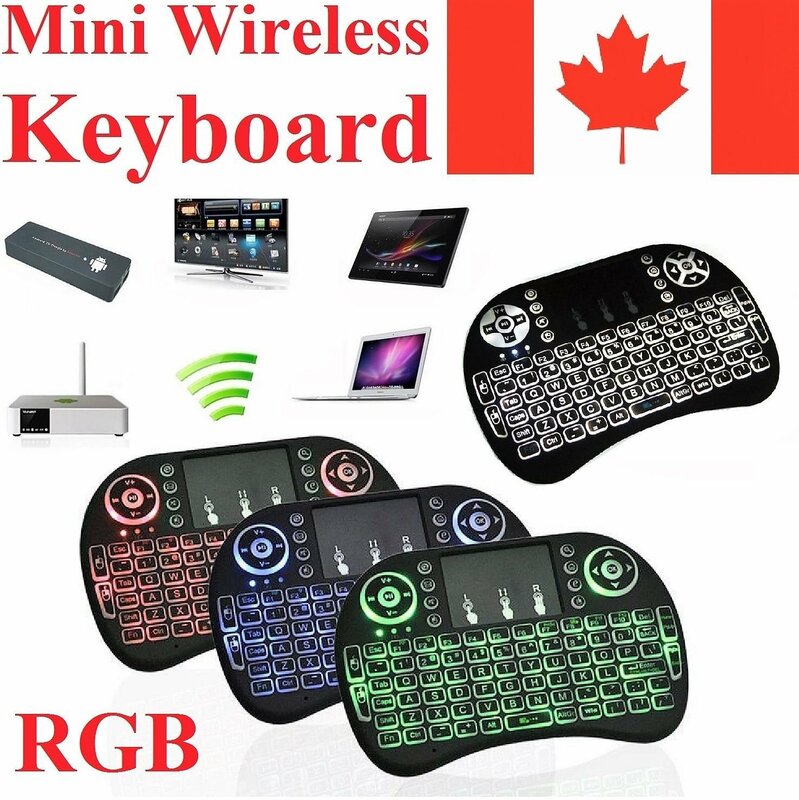 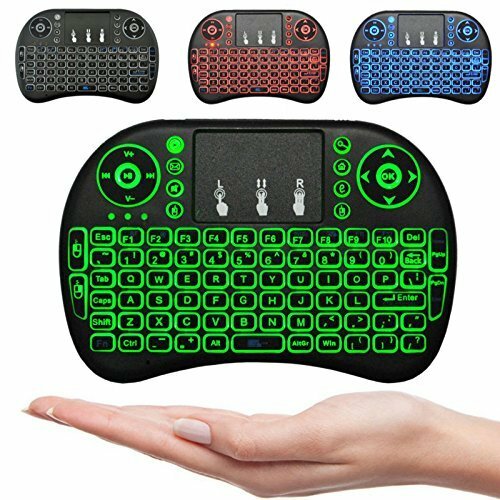 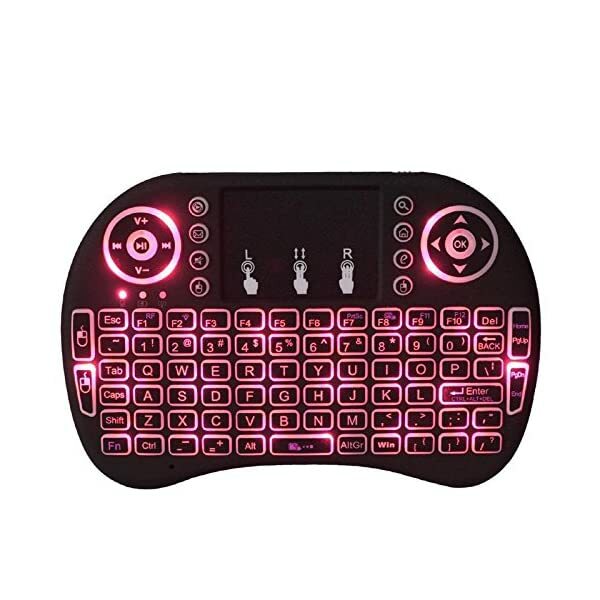 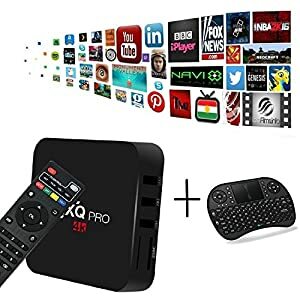 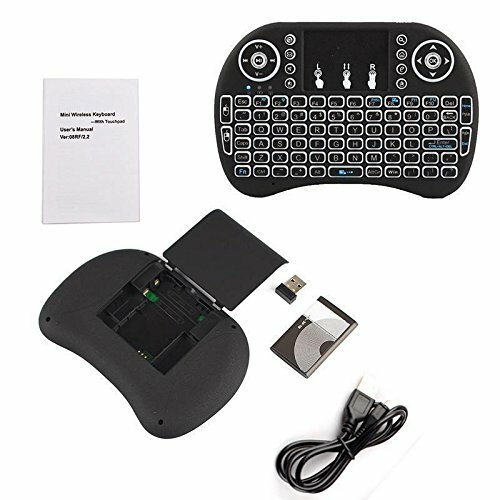 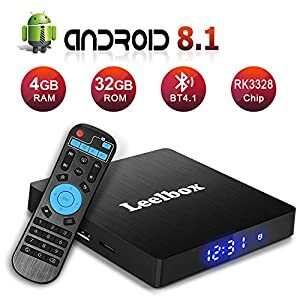 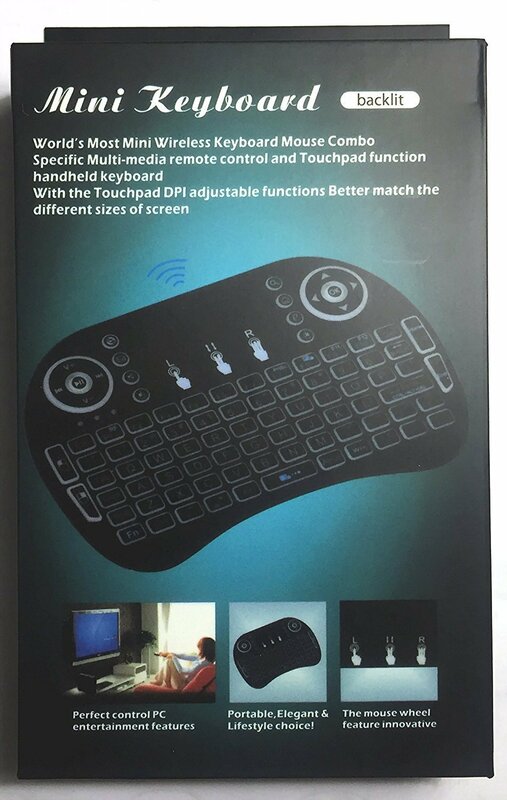 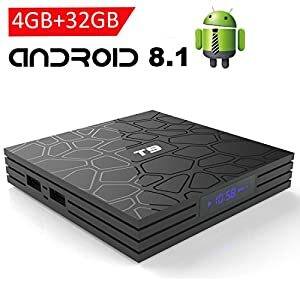 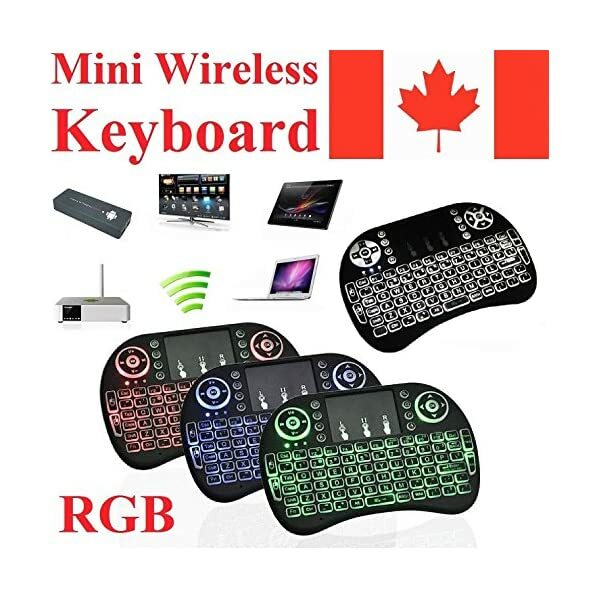 Home / Electronics / Television and Video / Accessories / 2018 Newest CIBN i8+ Mini Wireless Touch Keyboard Handheld Remote, Touchpad Mouse Combo, 3 Color LED Backlit Remote Control for Android TV Box, PS3 Xbox, Raspberry Pi 3, HTPC,Windows 7,8,10. 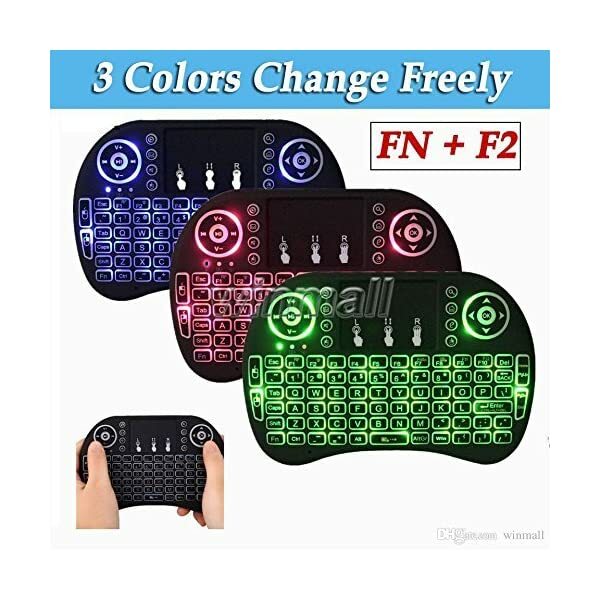 ►Ergonomic Design Compact & Slim : Handle keyboard with Soft surface process. 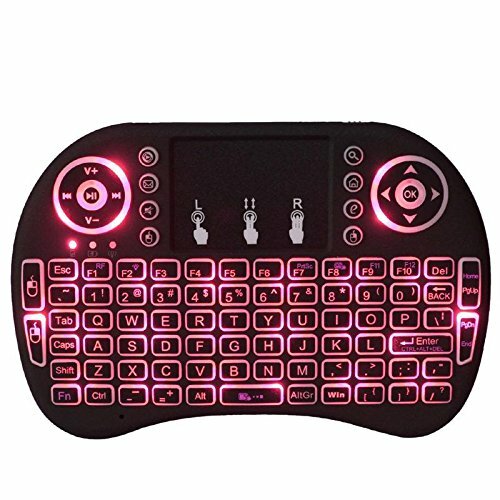 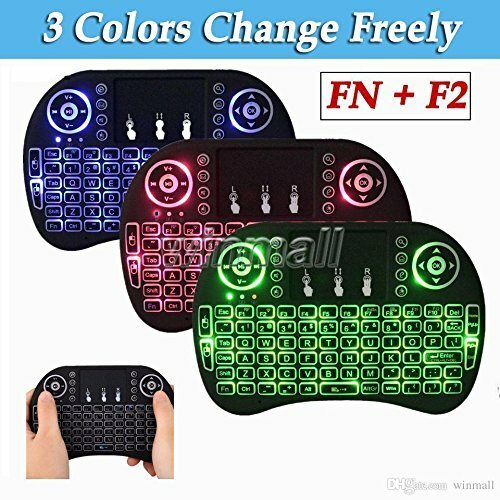 ►Touch Keyboard & LED Backlit : Standard Keyboard and Mulit-point Touch functions combine together, LED Backlit keyboard could input in a dark. 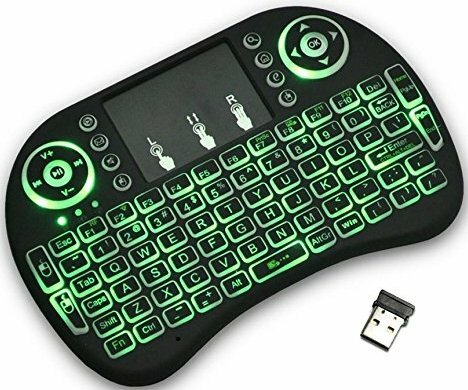 ►No Need Driver Plug &Play : Insert the USB receiver and Turn on ,this mini wireless touch keyboard could work well.